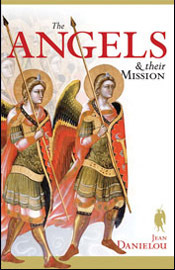 The truth about angels — according to the Fathers of the Church From St. Augustine to John Henry Newman, the greatest among the saints and men of God have lived on familiar terms with the angels; and the Church has always accorded them a very large place in her theology. Recent theologians have dwelt on dry questions about the nature of the angels, but the early Fathers of the Church, with the memory of Jesus fresh in their minds (and of the angels of whom He spoke often) were fascinated with the energetic action of the angels among men and the ways in which the angels have carried out that mission from the instant of Creation through the time of Jesus; and how they will continue their work even unto the end of time. From the works of these early Fathers of the Church, the late French Cardinal Jean Daniélou has drawn forth threads of knowledge and wisdom which he has here woven into a lucid and bright tapestry that shows us who the ministering angels really are, and how—in every instant and in every way—they are working for your salvation and mine. 144 pp.